In her most crucial mission to date, Cotten Stone must stop the Forces of Evil by locating an ancient artifact known as the Spear of Destiny. It was forged by Adam’s seventh generation grandson, used to pierce the side of Christ at the Crucifixion, and possessed by some of most powerful men in history—Constantine, Charlemagne, and Adolf Hitler. 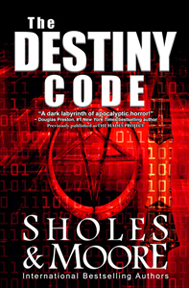 Her immortal enemy has unleashed the Hades Project, an unholy cyber-attack meant to cause global anarchy. Cotten races against time to find the relic which holds the key to the Destiny Code, the only thing that can stop the Forces of Evil from capturing the soul of every man, woman, and child on Earth. “An exceptional novel, a dark labyrinth of suspense, international intrigue, and apocalyptic horror.” — Douglas Preston, #1 New York Times author of The Lost City of the Monkey God. Dr. Brian Wheeler, a young and ambitious molecular geneticist, believes he has landed his dream job at the giant company, Reichert Pharmaceuticals. But as part of a special team, when he performs a procedure that results in the patient’s death, he informs management that he wants out of the ultra-secret project. Because he already knows too much, the company will stop at nothing to keep him silent. Now he’s running for his life. Maggie Hayden is trying to cope with the death of her husband. Her life is in emotional and financial turmoil. All she has left is her son. On the brink of losing everything, she is offered a position teaching at a school for gifted children owned by Reichert Pharmaceuticals. She believes the job is a godsend. But she soon realizes something is wrong. She has witnessed students experiencing horrific mental disturbances. When she begins to see troubling signs in her son, she sets out to investigate. What she finds is horrifying—Project Brain Trust. Wheeler knows their secret. They want him dead. Maggie has her son. They want his brain. 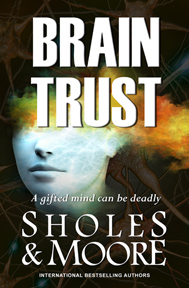 BRAIN TRUST is available in print and ebook. While investigating the theft of a 4000-year-old biblical artifact, a federal agent finds herself hunting an international fugitive who threatens Las Vegas with a nuclear device if a ransom from all the casinos is not paid. “Sholes & Moore are at the top of their game in this dark, chilling cat-and-mouse race to stop an unimaginable act of terrorism. THE BLADE is full-throttle thriller writing.” — David Morrell, New York Times bestselling author of MURDER AS A FINE ART. 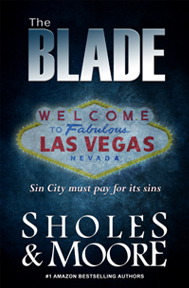 THE BLADE is available in print and ebook. OSI special agent Maxine Decker is back in this riveting follow-up to THE BLADE. She is called upon to locate and recover a mysterious artifact stolen from a blacker-than-black government facility. The missing item is a fragment that was found at the crash site of the Roswell UFO incident in 1947. Following the trail, Maxine discovers a sinister plot to use the technological data stored in the artifact to build a device called the Shield. The result will bring the United States and its allies to their knees without ever firing a shot. She soon shifts from being the hunter to the hunted as she becomes a falsely accused international fugitive. Her only hope to redeem herself and stop the most dangerous event in modern history is to gain access to an underground facility in the remote desert of Sudan. As the clock ticks down to zero, Maxine risks all to save her country. 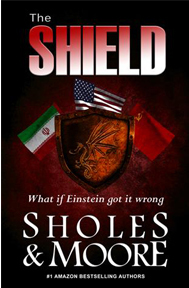 THE SHIELD is available in print and ebook. 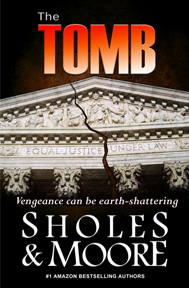 Retired OSI special agent Maxine Decker returns in THE TOMB, her most dangerous mission to date: prevent the assassination of a Supreme Court justice. After capturing the world’s most wanted drug lord, Maxine comes across a photo of an object recently found in the Colorado River, an object tied to a WWII plot to send a submarine up the Colorado and destroy the Hoover Dam. Identifying the object as an earthquake machine based on the turn-of-the-century design of Nikola Tesla, Max soon becomes the target of two groups: the designer of a modern version of the device and the Mexican cartel bent on revenge for the killing of their leader. Her mission comes down to the wire as she discovers that not one but all nine justices along with millions more lives are at risk. THE TOMB is available in print and ebook. April 1945. The Germans have the bomb. In a desperate attempt to win the war, Hitler plans to drop an atomic bomb on the city of London. That all ends with his suicide. But the scientist who developed the Nazi bomb has other plans. 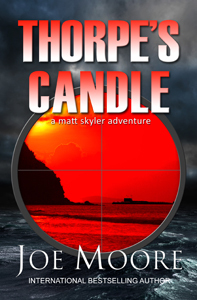 THOR BUNKER, A Short Story is a prequel to the Kindle bestselling thriller, THE BLADE, and includes an excerpt from that thriller. 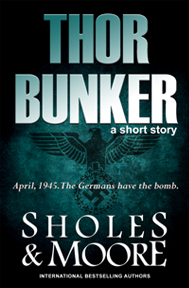 THOR BUNKER, A Short Story, is available in ebook. On assignment in the Middle East, television journalist Cotten Stone stumbles upon an archeological dig that uncovers the world’s most-sought-after religious relic: the Holy Grail. With his last dying breath, Dr. Gabriel Archer gives it to Cotten, uttering “You are the only one” in a language she’s heard from only one other person–her deceased twin sister. What begins as a hot news story for the ambitious young reporter soon turns into a nightmare when the Holy Grail is stolen and strange “accidents” befall her dearest friends. Running for her life, she turns to John Tyler, a priest with firsthand knowledge of religious artifacts, for help. An anonymous source leads them to New Orleans during Mardi Gras, where an abominable experiment is underway that–unless destroyed–promises to unleash an ancient evil upon the Earth. #1 Bestselling Kindle book on Amazon! 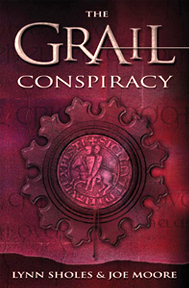 THE GRAIL CONSPIRACY is available in print and ebook. In this riveting follow-up to THE GRAIL CONSPIRACY, famed journalist Cotten Stone is at the top of her craft until one of her discoveries is proven to be a hoax. Without a steady job, credibility, or a shred of self-respect, the struggling reporter fades from the limelight. A year later at a famous Inca site, she unearths a crystal tablet that predicts the Great Flood and another final “cleansing” — yet to take place — to be led by the daughter of an angel. According to the Venatori — an ancient society of spiritual warriors — a series of these sacred tablets exist . . . and the last one holds the key to surviving Armageddon. Racing to recover this last secret before the Fallen Ones, Cotten comes face to face with her terrifying destiny, a legacy to battle the Son of the Dawn until the End of Days. 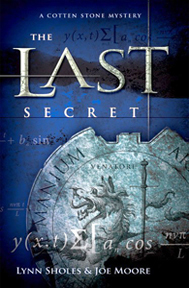 THE LAST SECRET is available in print and ebook. Forged by the seventh generation grandson of Adam, used to pierce the side of Christ at the Crucifixion, and possessed by some of history’s most powerful men–Constantine, Attila the Hun, Adolf Hitler, Harry Truman–the Holy Lance is about to be used again. The Forces of Evil intend to use the ancient relic to launch the Hades Project and bring humankind to its knees. From the Kremlin to the Vatican to an Ethiopian church housing the Ark of the Covenant, Cotten Stone races to find the Holy Lance. Time is running out as Cotten confronts the man who holds in his hand the destiny of the world, a man who died more than 85 years earlier. 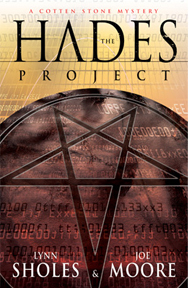 THE HADES PROJECT is available in print and ebook. It devastated the earth thousands of years ago. Its remnants are scattered across the human genome waiting to be reassembled into a deadly viral killer. Now a new generation of suicide bombers will use the virus to kill with something as innocent as a cough. Everyone is a target. No one can survive. Only one person can stop the heinous plot and its mastermind. From the Amazon rainforest to the remote hills of West Virginia, to a secret passage beneath a medieval castle, to the darkest place on earth—North Korea—Cotten Stone must prevent the greatest threat to mankind since the Black Plague. In doing so, she uncovers Unit 731, the long-buried atrocity of WWII, exposes one of the most disturbing secrets in America’s history, and pays the ultimate price—selling her soul to the Forces of Darkness. Time is running out as the Legacy of Unit 731 threatens all mankind. 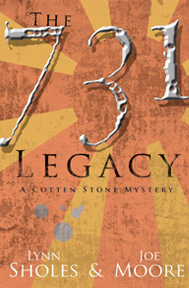 THE 731 LEGACY is available in print and ebook. At a dig site in Mexico City, magazine journalist Seneca Hunt is reporting on the opening of Montezuma’s tomb when it’s discovered that the remains of the Aztec emperor are missing. Before she can investigate further, what appears to be a terrorist attack kills the dig team. Seneca barely escapes the carnage not knowing that a passing glimpse of an out-of-place object in the tomb may have sealed her fate. She soon learns that someone is stealing the burial remains of the most infamous mass murderers in history. Seeing a story in the making, her research uncovers a plot to slaughter millions in the name of an ancient cult. Seneca teams up with a bestselling novelist to prove the threat really exists while staying one step ahead of those who want her dead. As time is running out, she must follow a 2000-year-old trail leading back to the death of Jesus Christ. 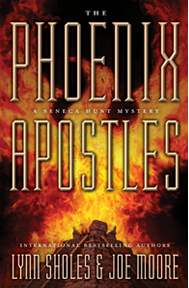 THE PHOENIX APOSTLES is available in print and ebook.